George McClellan’s lucky find of Robert E. Lee’s Special Orders No. 191 led to a fight near Antietam Creek on what became the bloodiest day in American history-September 17, 1862. Thousands of men were wounded during the Battle of Antietam. For the injured, more misery awaited in makeshift field hospitals. Photographs sent to loved ones captured soldiers in their prime-before Antietam’s fury took its grisly toll. George McClellan and his apologists spent years repeating half-truths and outright lies to cast Ambrose Burnside as a bungler for not quickly capturing Antietam’s Rohrbach Bridge. William Roulette’s farm was smack dab in the middle of mayhem on September 17, 1862, and his handwritten list chronicles his awful losses. William Ormsby died before a firing squad of Union comrades. Among his fatal mistakes” riding drunk with Mosby’s men. 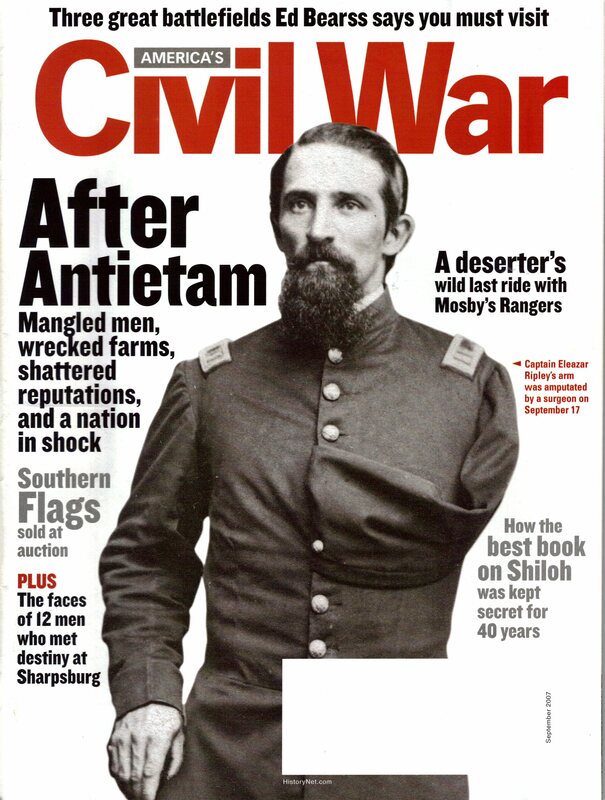 Civil War News and History. Civil War Memorabilia Sold at Auction. Papers owned by descendants of Union Corporal Barton W. Mitchell confirm his role in finding Special Orders No. 191 on September 13, 1862. September is America’s cruelest month in history. A bullet-shattered gunstock from the Antietam battlefield.